What’s the Best Exercise to Reduce Your Waistline & Heart Attack Risk? Happy New Year! If one of your resolutions is flatten your belly, congratulations on making an important commitment to improve your arterial health! Large studies show that having a large waistline (above 40 inches for a man and above 35 inches for a woman) can more than double risk for heart disease and more than triple it for type 2 diabetes, even if your weight and body mass index (BMI) are normal. In fact, scientists report that excessive belly fat is just as bad for your heart as smoking! The wonderful news is that losing just 2 inches from your waist can significantly lower blood pressure, cholesterol and other heart attack risks, a 6-month study found. Here’s a look at which workouts target belly fat effectively–and which ones don’t. 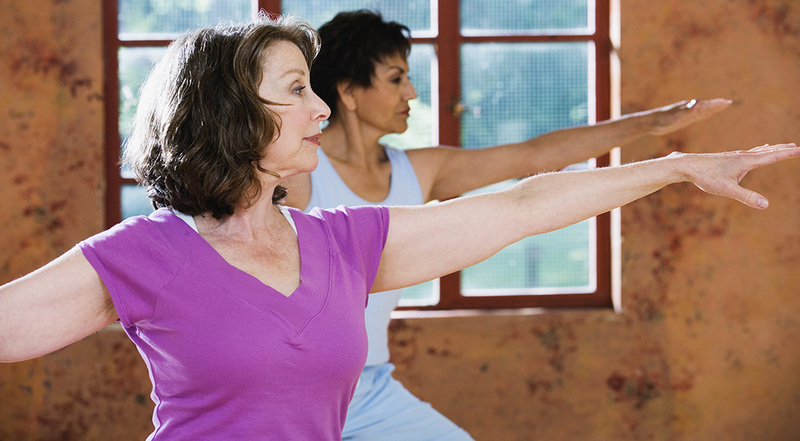 Check with your healthcare provider before starting a new exercise regimen to make sure it’s appropriate for you. Abdominal exercise. While it might seem logical that abdominal exercises, such as sit-ups and crunches, would be the best way to flatten your belly, unfortunately, spot reducing doesn’t work. In a 6-week study, this type of workout had no impact on participants’ waist size or the amount of fat they carried around the middle. However, numerous studies show that other types of exercise can lead to major reductions in belly bulge, along with other improvements in cardiovascular health. Interval training. If you have insulin resistance (the root cause of type 2 diabetes and 70% of heart attacks) or metabolic syndrome (a cluster of heart attack risks that often includes too much belly fat), research shows that the most effective way to combat these problems is interval training, in which you alternate short bursts of more intense activity with intervals of lighter activity. In a study of overweight people, this type of exercise resulted in overall weight loss, a slimmer waist, improved lipid levels, and a 32.5% reduction in rates of metabolic syndrome. Brisk walking. In a 12-week study, previously sedentary people who walked briskly for 30 minutes a day, five days a week, whittled their waists by about an inch, enjoyed a 6-point drop in their systolic blood pressure (the top number) and reduced their hip measurement by an inch. An earlier study also found that walking reduces both total and LDL (bad) cholesterol by about 5%. Other research reports that walking briskly for 3 or more hours a week cuts risk for heart disease by up to 50%. Strength training. Including weight lifting in your workout not only tones your muscles, but it can also help prevent age-related gain in waist size, according to a 2014 Harvard study. A similar study of women found that over a two-year period, strength training twice a week prevented increases in belly fat. That’s because larger, stronger muscles help rev up metabolism, so you burn more calories even when you’re at rest. To avoid injury, start with lighter weights and gradually build up to heavier ones as you gain strength. Aerobics plus strength training. The best way to keep your heart healthy is to combine aerobic exercise, such as walking, jogging, cycling, or swimming, with muscle strengthening activities, such as lifting weights or resistance training. The American Heart Association advises at least 30 minutes of moderate-intensity aerobic activity at least 5 days a week, plus moderate-to-high-intensity strength training twice a week. Both types of exercise help dieters avoid regaining belly fat after weight loss, suggesting that regular workouts are essential for maintaining a healthy weight–and waistline.